Magnum Opus® has invented a device called the Silent ObserverTMand upgraded version now called as Active TrackerTM, which is externally connected to Sonography machine and captures videos images of on machine monitor continuously. 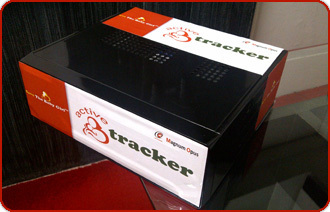 Active TrackerTM is coupled to USG machine through external cables which are temper proof. It receives and captures all the video signals from the USG machine and no interference with USG machine keeping the “insurance” of the USG machine intact. As this is single way interactive mechanism, no inputs are given to USG machine. As we believe in giving top priority to security of the patient’s data, Magnum Opus has followed industry proven practices in product engineering to make Active TrackerTM temper proof.